Matt started learning the piano at the age of four, before beginning a life long relationship with the violin aged 5. 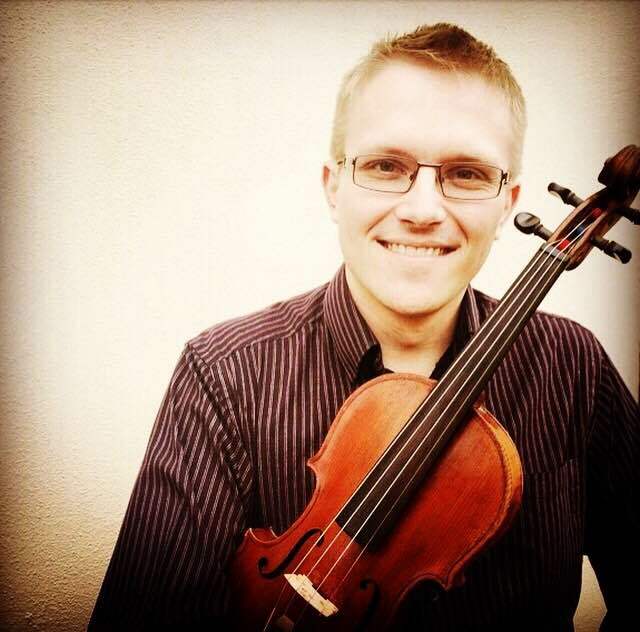 Matt was a Music Scholar at Lincoln Minister School, and has played first violin for the Lincolnshire Youth Symphony Orchestra, Boston Sinfonia, Lincolnshire Philharmonia and Isle of Man Symphony Orchestra. Matt read BSc (hons) Applied Biology at the University of Nottingham, continuing his orchestral music as a first violinist with Nottingham University Sinfonia. After completing his degree, Matt's talents earned him a job with Avid Technology working on the market leading score writing software - Sibelius. In addition to being a Sibelius Technical Support Specialist, Matt led training sessions for teachers, demonstrated products at industry shows, helped to run SibeliusMusic.com, and provided assistance to VIPs during musical clinics at events such as WOMAD. Matt gained his PGCE at Bishop Grosseteste University before moving to the Isle of Man, where he worked as a class teacher for three years before deciding to become a private instrumental music teacher. He currently sings with the Kirk Braddan Choir, Voces Insulae, Lyra Davidica and Tallis Consort. This year, Matt will be beginning his level 1 Certificate of Professional Practice in The Kodály Concept of Music Education.